Many customers run or are planning to run Microsoft Dynamics AX on Azure IAAS (Infrastructure As A Service). One of the common considerations is cost optimisation. Controlling costs when running Dynamics AX on Azure can be done in many ways. This blog will explore some of the ways in which Dynamics AX on the Microsoft Azure platform can be run cost effectively. A standard Dynamics AX solution, often referred to as DTAP (Development, Test, Acceptance and Production), may consist of the following roles: AOS Server/s, SQL Server/s, Remote Desktop Services. When planning a move to Microsoft Azure the Azure calculator will provide cost estimates of an Dynamics AX environment whether it’s Development, Test, Acceptance or Production. 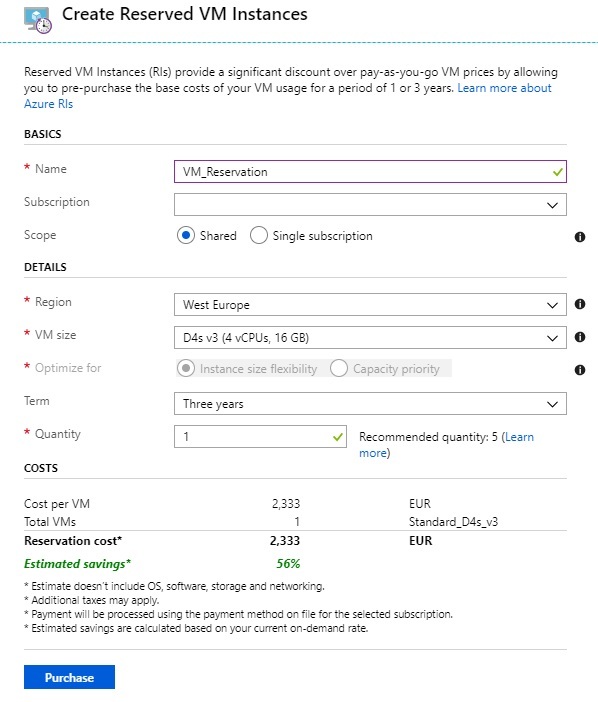 The Azure Pricing calculator is here. Once you’ve added your machines and other items, cost estimates can be made. The Microsoft Azure portal provides the current costing of the subscription/s in use. These insights also provide a burn rate so that you can predict the cost of the solution allowing for any tweaks to the spend. To understand the cost of a Microsoft Dynamics AX solution in Microsoft Azure, where other environments are deployed, resource tagging provides a great way to view how much the solution costs. Automatic shutdown of Virtual Machines is a great way of saving cost for Development, Test and Acceptance environments in Microsoft Azure. This can be achieved simply in the Microsoft Azure Portal. Alternatively, Microsoft Azure automation can be configured to automatically start and stop Virtual Machine instances. This can make sure that dependant services are available before other services start, such as the SQL server service needs to be up before the AOS services come online. Once a solution is deployed, monitoring the used CPU and Memory used can highlight if Virtual Machine sizes can be changed to reduce cost. When customers choose to move their Microsoft Dynamics AX solution to the Microsoft Azure cloud they use their existing software assurance or Windows Server licencing such as SQL and Operating System OS’s. Based on the editions, a saving of up to 40% can be achieved on IAAS Virtual Machines. Discounted rates on Microsoft Azure are also available for Development and Test instances. No software cost is charged on Virtual Machines. Again, the Azure Calculator can provide estimates on these savings. This makes running Development, Test and Acceptance environments a great option and one where many of our customers choose to start. Within a qualifying subscription, reservations can be purchased for 1 or 3 years on a shared or single subscription. These can be for Microsoft Dynamics AX Virtual Machines or SQL servers’ costs. If you run Microsoft Dynamics AX production instances which are running 24/7 this makes great sense. Reservations can be applied for our customers that are either Pay-As-You-Go, Enterprise Agreement or CSP subscriptions. Reservations can be viewed, created and applied directly in the Azure Portal. 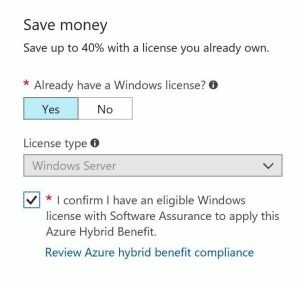 This blog isn’t exhaustive but shows some of the ways that savings can be made when running AX on Azure IAAS. At HSO we provide complete hosted Microsoft Dynamics AX solutions on Azure and help plan, implement, run and monitor solutions with our customers. Please get in touch if you need to know more about the benefits of running Microsoft Dynamics AX on Azure.